Why Visit An Event Taking Place In… Edinburgh? Home>All News>Why Visit An Event Taking Place In… Edinburgh? Scotland’s capital city, for many, needs no introduction. The city boasts an impeccable combination of history and culture; it is a city of traditions. With two distinct areas; the medieval Old Town and the Georgian New Town, Edinburgh’s unique architecture and the seamless combination of old and new earned the city’s status as an UNESCO World Heritage site. In addition, Edinburgh was the first ever city to be named an UNESCO City of Literature. Consider arriving early or staying a few days after your conference – and invite your family and friends to join you! Edinburgh is a ‘bucket-list city’ – a historic playground full of new discoveries and world-class entertainment. Explore the World Heritage sites with a GPS treasure hunt, indulge your senses at a whisky tasting or participate in an exclusive guided tour of any art gallery or museum. For a great day out, have a look at the top visitor attractions. With its mix of bustling city scenes and tranquillity, Edinburgh is a tourist hotspot but it is also so much more. It is a city of innovation and enlightenment. It is a world leader in a variety of industry sectors from life sciences to creative industries and technology to food & drink. These areas of excellence ensure Edinburgh is home to renowned academics and professional leaders in their field. Once you’ve arrived on Edinburgh’s cobbled streets, indulge yourself in the many restaurants and bars the city has to offer; choose among the city’s four Michelin-starred restaurants or experience food from award-winning chefs in a more casual surrounding. From the rich – sometimes hidden – history that surrounds your every step, to the wealth of lush, green spaces peppered around the city centre, Edinburgh continually surprises, delights and inspires. Find out why there’s nowhere in the world quite like Scotland’s capital city. The airport is only 8 miles (12km) from the city centre, and with direct flights from over 130 locations worldwide, Edinburgh is closer than you think. 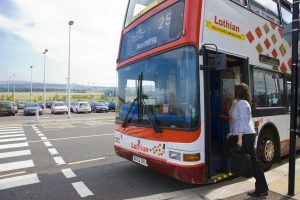 Edinburgh is renowned for its public transport, offering visitors a range of easy travel options to ensure you get from A to B stress-free. Choose to hop in a taxi, experience our award-winning public bus service or travel on the modern tram system. A walkable and accessible city, most attractions, shopping, dining and green spaces are within an easy stroll of conference venues and accommodation. Edinburgh is a safe and clean city that has successfully hosted many high profile, security conscious events that demonstrate the city’s professionalism and cooperation. Edinburgh boasts an impressive combination of historic and modern buildings against an architecturally stunning backdrop. 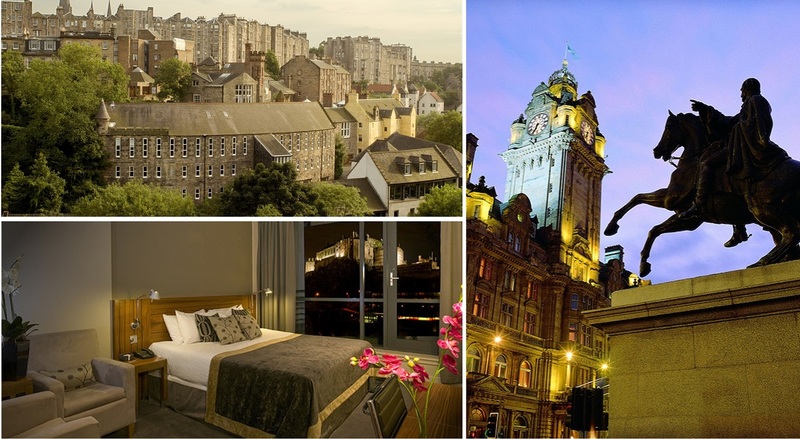 Many of Edinburgh’s hotels are located within some of the city’s finest traditional buildings. 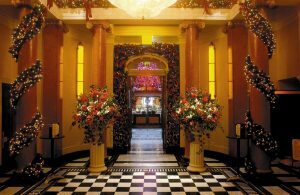 Edinburgh offers an outstanding choice of accommodation and caters for all tastes and budgets; from luxurious hotels, elegant boutiques and services apartments to budget brands and modern university campuses, most of which are within easy walking distance to the city’s primary conference venues. With over 20,000 beds to choose from, it is guaranteed that you’ll have a comfortable stay. Edinburgh is home to an array of museums and galleries for you to explore – go to National Museum of Scotland and visit Dolly the Sheep or discover Edinburgh Zoo and say hello to our resident pandas. Explore the Old Town and discover Edinburgh’s most famous landmark, Edinburgh Castle or stroll along the cobbles of the Royal Mile and Grassmarket. A stone’s throw away you’ll find the New Town – wonder along one of Edinburgh’s trendiest streets, George Street, full of contemporary restaurants, bars and designer shops. Enjoy a dram, or two, at the Scotch Whisky Experience and take in the sights. Despite its elegant setting, Edinburgh is a city that never stands still. Edinburgh has played a starring role as a superb film location for some of the UK’s best loved films. From blockbusters such as Trainspotting, Avengers: Infinity War and Sunshine on Leith to TV shows, such as the period drama, Outlander. Take the opportunity and join the cinematic trail through the streets of Scotland’s capital. 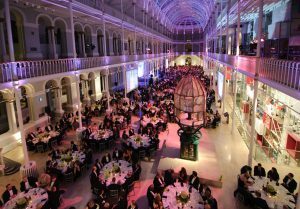 Boasting an array of outstanding and award-winning restaurants, cafes and bars, eating out in Edinburgh is a culinary delight, offering a wide and diverse mix of restaurants that appeal to all tastes and budgets. If you think you have been to all the usual places, why not head off the beaten track and check out the city’s latest openings and hidden gems? 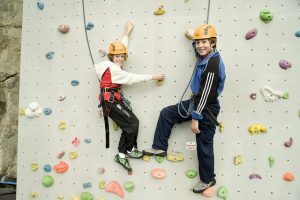 There is no shortage of fun activities to keep the kids amused on a family day out in Scotland’s capital. From spending time in the great outdoors discovering the city’s cobbled streets, fashionable walkways and ancient alleys, to leisurely wandering around the fascinating museums and galleries. From mighty fortresses to poignant statues, Edinburgh has its fair share of breath-taking landmarks – so make sure you check out the top castles and monuments. If you’re feeling brave, learn about Edinburgh’s peculiar past on one of the city’s ghost tours – it’s bound to be a favourite moment shared with the whole family.